Sometimes bronze is worth its weight in gold! Swiss-based Kugler Bimetal SA is at HANNOVER MESSE 2019 to showcase its TOKAT 300 bronze coating. The product promises to be a lasting solution to the market demand for better performance and cost efficiency and a responsible approach to limiting the use of lead. Swiss-based Kugler BIMETAL SA has been manufacturing parts in Kugler-TOKAT bronze and steel since 1950, with the consistent aim of eliminating problems with friction. The parts are used in areas that are ultra-demanding and beset by extreme operating conditions such as severe mechanical stresses, high speeds and unusual temperatures. The solutions developed by Kugler Bimetal SA are used primarily in hydraulic drive technology, heavy engineering, and the aerospace and transportation sectors. At HANNOVER MESSE 2019, the company is unveiling TOKAT 300, the next generation of anti-friction coating. 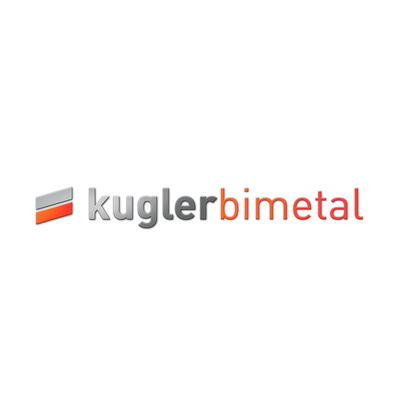 The team at Kugler Bimetal is confident it knows where regulations and customer demands are headed and so it has invested heavily in research and development over recent years. The result of all this hard work is TOKAT 300, the company’s answer to market demands for better performance, higher cost efficiency and lead-free solutions. Thanks to its inseparable CuSnBi3 bronze layer on a steel backing and its finely engineered microstructure, TOKAT 300 demonstrates efficiency-boosting benefits such as lower friction, reduced wear, higher strength and load capacity, and greater fatigue and cavitation resistance. What’s more, due to its extended product lifetime, TOKAT 300 should also reduce total life cycle costs.